The Indian government's demonetisation measures did not impede future black money flows in new denominations, a UN report said on Monday. According to UN Economic and Social Survey of Asia and the Pacific 2017, complementary measures to demonetisation would be required to target all forms of undeclared wealth and assets. "Broader structural reforms which could also contribute to enhanced transparency include: the implementation of a goods and services tax; voluntary disclosure of income scheme; and tracking of high-value transactions through taxpayer identification numbers," it said. "Other measures, such as reforming the real estate registration process to ensure transparency, are being discussed." As per the report, the disruption caused by demonetisation had "greater and longer-lasting" impacts for lower-income individuals, households and businesses that had difficulty insulating themselves against the shock. "Rural incomes and consumption were affected due to a decline in prices for agricultural products (although again, this was not reflected in the national accounts data which measure agriculture in terms of quantity)," the report said. "In the medium-term, the currency initiative is expected to bring more economic activities into the formal sector and spur digitisation of financial transactions, helping to broaden the tax base and secure the fiscal space needed for public social and infrastructure expenditures." 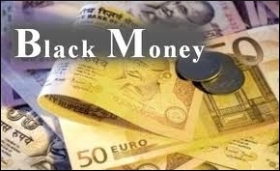 The report pointed out that "one-off" currency measure in effect transferred lost black money to the central government through unclaimed or unexchanged notes. "Preliminary estimates suggested a 97 per cent recovery of notes, which would imply a 3.16 per cent increase in fiscal revenues for the government," the report read. On November 8, 2016, exactly six-months ago Prime Minister Narendra Modi announced that the Reserve Bank of India (RBI) would withdraw India's two largest currency denominations -- Rs 500 and Rs 1,000 -- from circulation. The two bank note denominations which were withdrawn represented more than 86 per cent of the cash in circulation.